This set of Irish whiskey glasses feature gold plated over pewter emblems with the Tree of Life along with Celtic knot-work accenting. 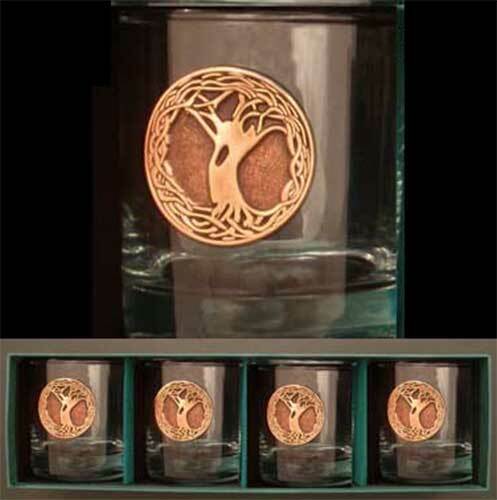 The Tree of Life whiskey glasses are dishwasher safe and are made in the United States. These Celtic whiskey glasses are sold as a boxed set of four.